I’ve blogged about this before, but now I have a very cool update! 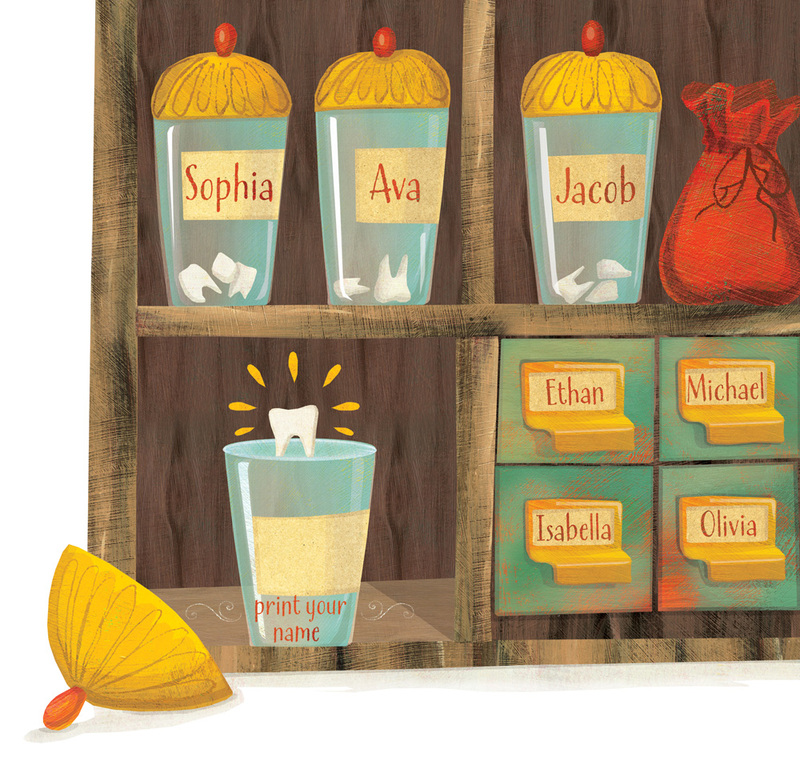 My super-fun project from last year, Teeth Fairies – A Baby Teeth Tradition, is now available for purchase (at Amazon and at selected retailers)! 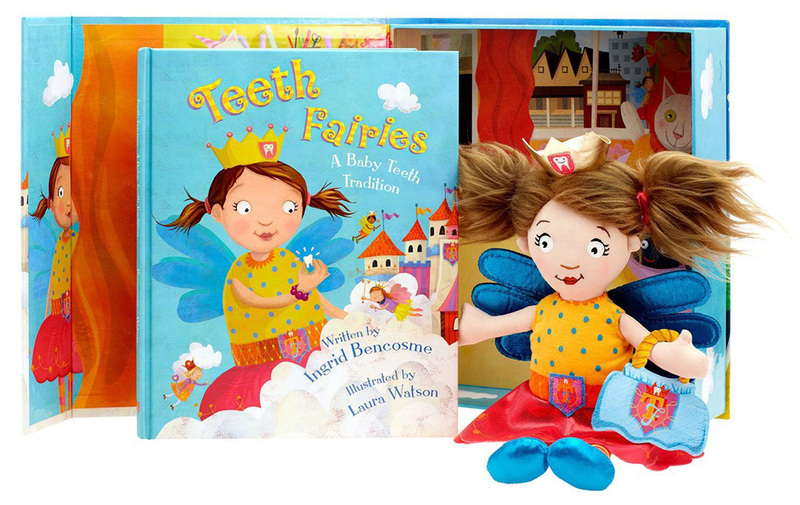 My 6.5-yr-old daughter has two incredibly wiggly front teeth, so my copy of the very cute doll and book gift set arrived just in time. 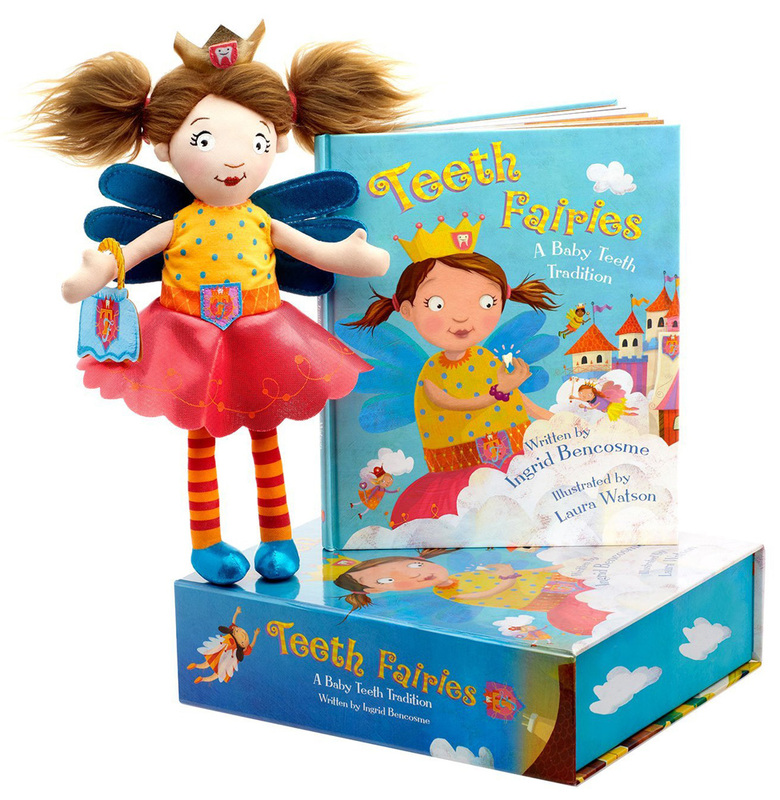 Teeth Fairies is a book and doll set that helps a child make the most of the brief, special time in life when they are losing their baby teeth. 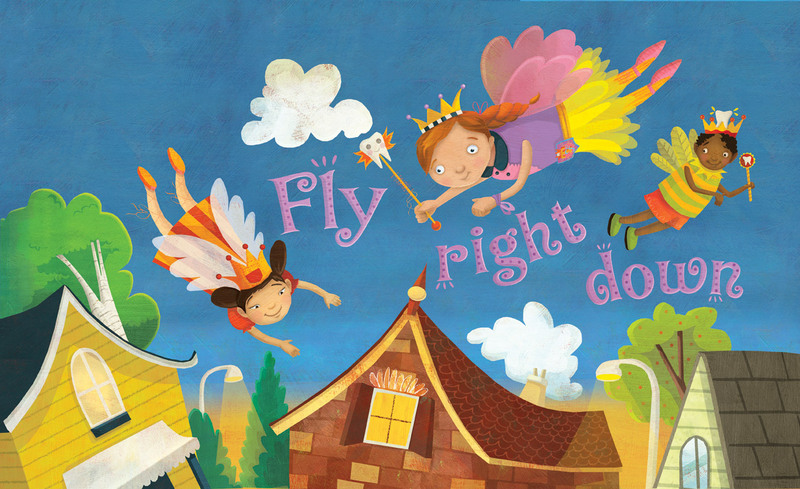 Written by the wonderful Ingrid Bencosme, former teacher and mother of 3-soon-to-be-4, the book was a joy to illustrate, and it was such fun to design the tooth fairy doll as well. 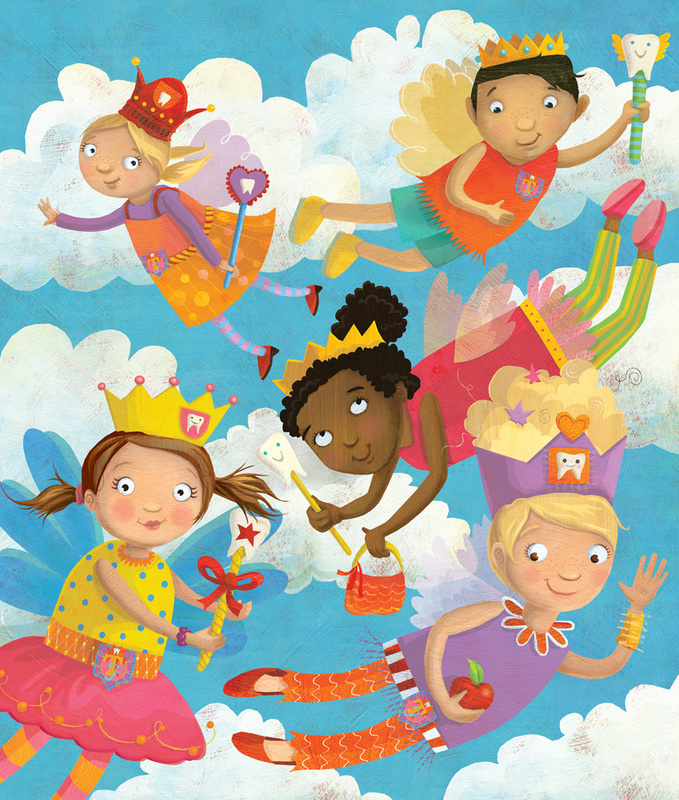 Teeth Fairies is donating a portion of sales to Communities In Schools to help prevent and fight serious dental disease that can cause kids to miss school and potentially drop out. Here are some photos of the set, as well as a few of my favourite illustrations from the book. 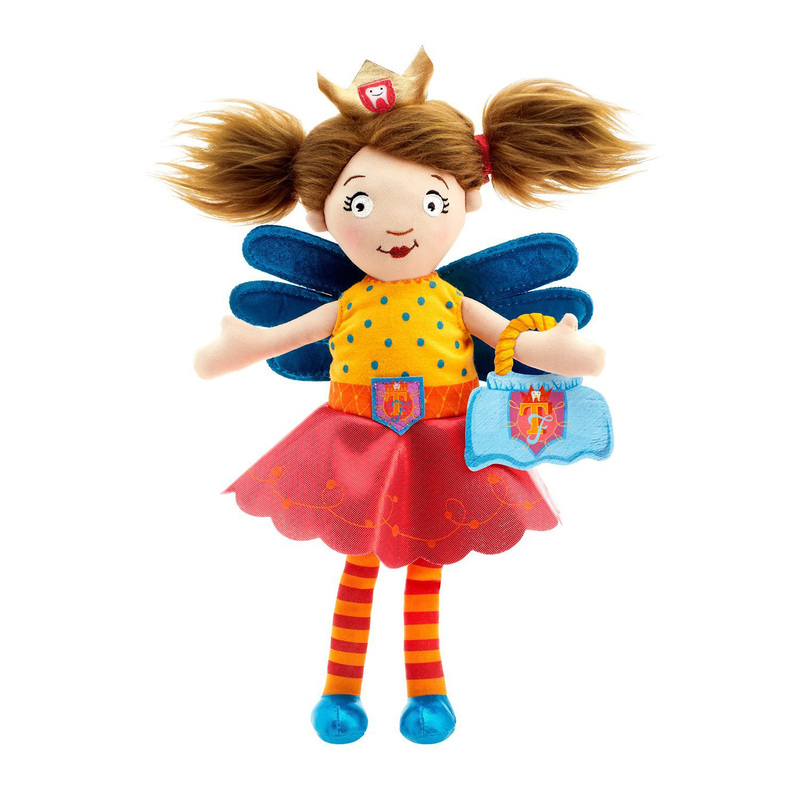 Check out the “Parents” section of the Teeth Fairies website for more info on the set, helpful tips and fun downloadable activities for kids, and like Teeth Fairies on Facebook for kids’ dental health tips, contests, recipes and more fun stuff. 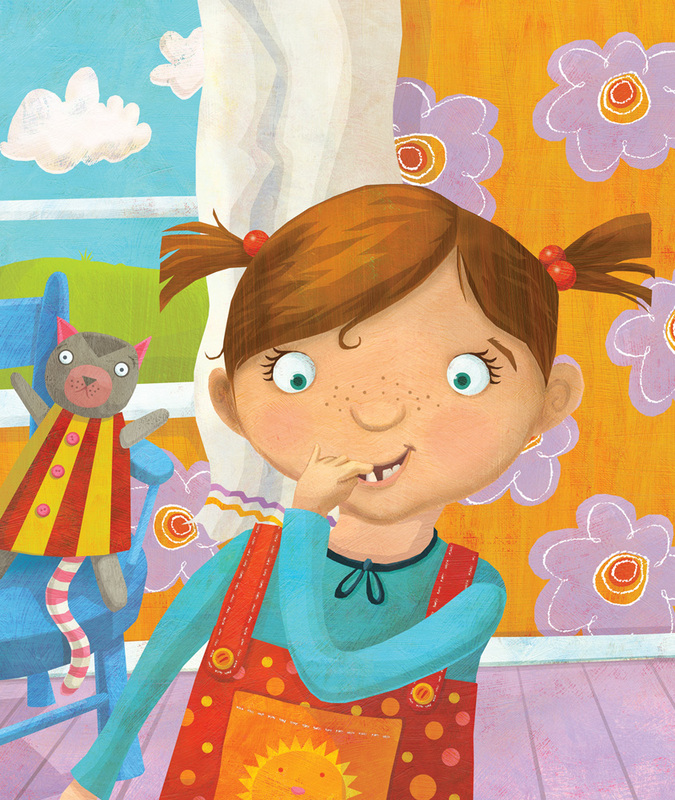 And visit my portfolio site to see more of my illustrations, if you’re so inclined!